The all new 2017 models are now in stock! They have standard features across the board such as blacked out engine, all new instrument panel and new Custom Paint Options: Terracotta Metallic, Bronze Metallic, 2017 model also available in Burgundy Metallic. The Ural Tourist is the perfect bike to get you going on your next adventure, whether that be out on the open road or cutting through the bush. It comes in three distinct colours: grey metallic, green metallic and burgundy metallic, all three feature a modern, hardwearing metallic finish for style and versatility. The Tourist comes with an amazing set of extras as standard which include a bench seat, sidecar windscreen, tonneau, spare wheel, toolkit, tyre pump and even a sidecar auxiliary outlet. The Tourist has a unique mount for a spare tire at the rear of the sidecar, making sure to never leave you stranded in the middle of an adventure. 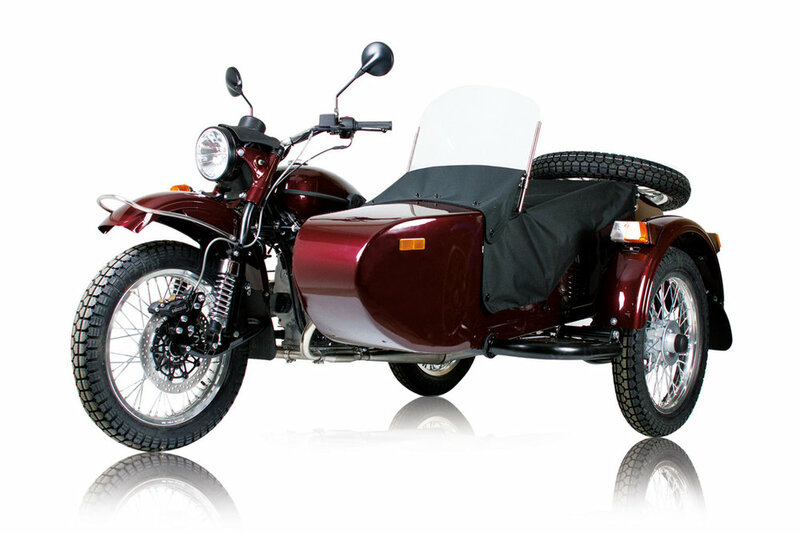 Tonneau covers can be used to make sure your sidecar is well protected from the elements.